“The subject of this biography (Shaykh Ishaq al-Dihlawi) left behind pious daughters, amongst them being: Shaykha Khadija bint Mawlawi Ishaq, a scholar of the issues of Islamic law and Prophetic hadith. Her birth was in the year 1230 Hijri. She studied with her father: Tafsir, Aqaid, Hadith, Usul, Tasawwuf and other than them from the literary sciences. She turned her focus towards knowledge totally, and studied numerous books thoroughly from her father in all of the sciences. 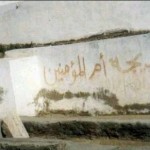 She had an immense love for hadith and its people, and heard many of the Musalsal hadith from her father and from her uncle Mawlawi Yaqub al-Muhajir al-Makki…She sought ijazah from the scholars of the different lands, and they granted her ijazah…she became well known in her time and had great fame. She narrated many of the musalsal hadith, and took the spiritual path from her father. She had litanies (awrad), supplications and a deep knowledge of tasawwuf (mashrab rawi). She guided a large number of people, not least the women. They accompanied her closely, and benefitted from her manifestly. She rectified the state of many of them, such that they became known between the women for their asceticism, taqwa, conviction, patience, scrupulousness, good manners and regularity in the performing of obligatory acts. A large group (of students) took from her. In summary, she was from the amazing individuals of the period, beautifying the age, and the pride of women. She died in Makka the ennobled after she had reached 80 years of age, in the year 1310 Hijri. 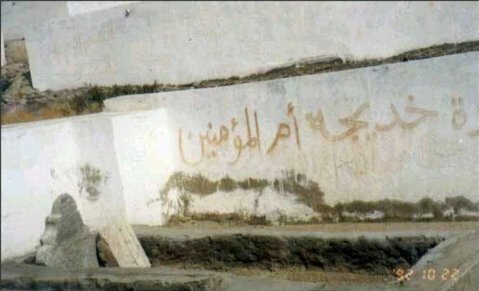 The picture above is of the grave of Sayyida Khadija al-Kubra (Allah be pleased with her), in proximity to whom Shaykha Khadija bint Mawlawi Ishaq is buried. The Hanafis are of the view that if a copy of the Quran becomes worn or damaged such that it can no longer be read from, it is placed in a clean cloth and buried in a placed which will not be disturbed or walked over. Just as a Muslim when he dies is buried out of honour for him. 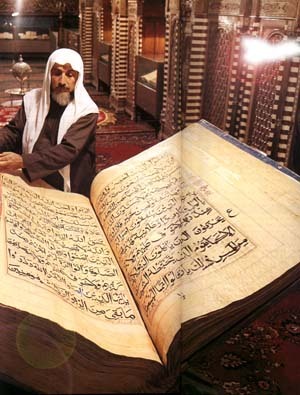 The Hanafis said that soil should not be piled over it except when a roof structure is placed over the copy of the Quran, so that the soild does not reach it. They also said that it is prohibited to burn it with fire, this is reported from Ibrahim al-Nakhai, and was also the view of Qadi al-Hussain from the Shafis, whilst Imam al-Nawawi said it was disliked.